There has never really been a Rosetta Stone when it comes to frame sizing. Sometimes, it feels like there is no rhyme or reason to how manufacturers size their frames. Each sheet of geometry contains many numbers, some of which are essential and some of which aren’t likely to affect your decision. Here at Carver Bikes, we are firm believers in simplicity and consequently we place more value on the Effective Top Tube length than any other. 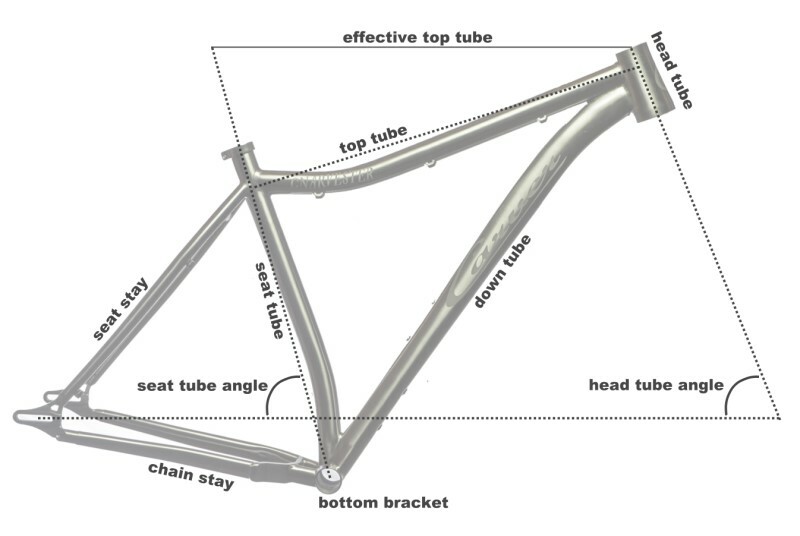 This measurement is the horizontal line between the center of the head tube and the seatpost, and essentially measures your reach. While we size our frames based on seat tube height, there is a fixed relationship between this measurement and the ETT. For every 1″ (25.4mm) that a Carver frame increases in size, ETT increases by 1/2″ (12.7mm). For example, our 17″ frame has a 23″ ETT, therefore an 18″ will have a 23.5″ ETT and a 15″ would have a 22″ ETT. We have seen just about every body type looking for a frame, and understand that three or four sizes are simply not enough to comfortably fit everyone. So, rather than making compromises we have committed to keeping at least one frame of at least 10 different sizes on hand and in stock whenever possible. Chances are, we will have a 13″/14″, 15″, 16″, 17″, 18″, 19″, 20″, 21″, 22″, and 23/24″ in stock any time you ask! In general, we recommend rounding up when choosing a size. Why? Gone are the days of 130mm stems. We tend to spec as short of a stem and as wide bars as possible, for almost any kind of riding. Going slightly longer on the ETT means that you can get away with running a shorter stem without altering your reach too much. Shorter stems carry a wide variety of benefits including added stiffness, better steering control, and a more centralized position on the bike. So, what happens if your desired ETT is not divisible by 1/2″? In this case, we’re happy to make a custom frame that meets your specifications, as all geometry changes are free on custom frames from Carver Bikes!